What’s next in store for Criminal Minds: Beyond Borders? 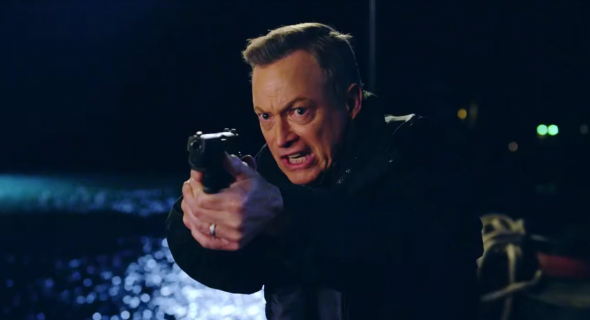 Recently, star Gary Sinise teased season two of the CBS series. A spin-off of Criminal Minds, the crime drama follows the specialized International Division of the FBI. The cast also includes Alana De La Garza, Daniel Henney, Annie Funke, and Tyler James Williams. On Twitter, Sinise posted a photo of himself on set at Universal Studios with a poster announcing season two of Criminal Minds: Beyonds Borders debuts on March 1st, 2017. What do you think? Are you a fan of Criminal Minds: Beyond Borders? Are you excited for the new season? More about: CBS TV shows: canceled or renewed?, Criminal Minds: Beyond Borders, Criminal Minds: Beyond Borders: canceled or renewed? I love this show and would like to know when season 2 is really premiering, so far I’ve seen March 1st, but on that date CBS has another show called Doubt airing.